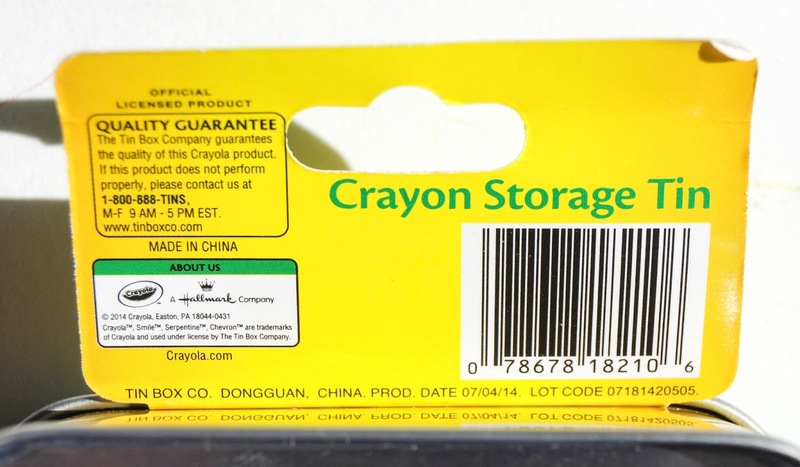 These Crayola Crayon Storage tins hold 24 crayons. I loved the design on both of them. I think I like the ones on the right slightly more. 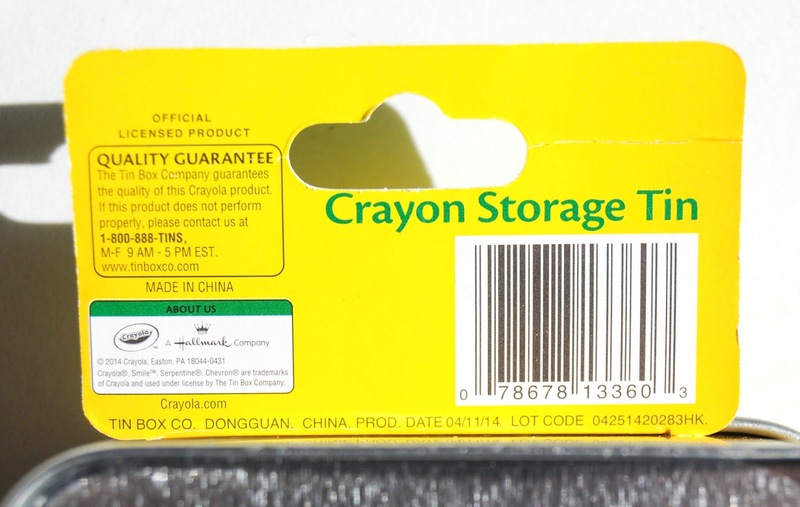 Crayola has been making storage tins for a long time. 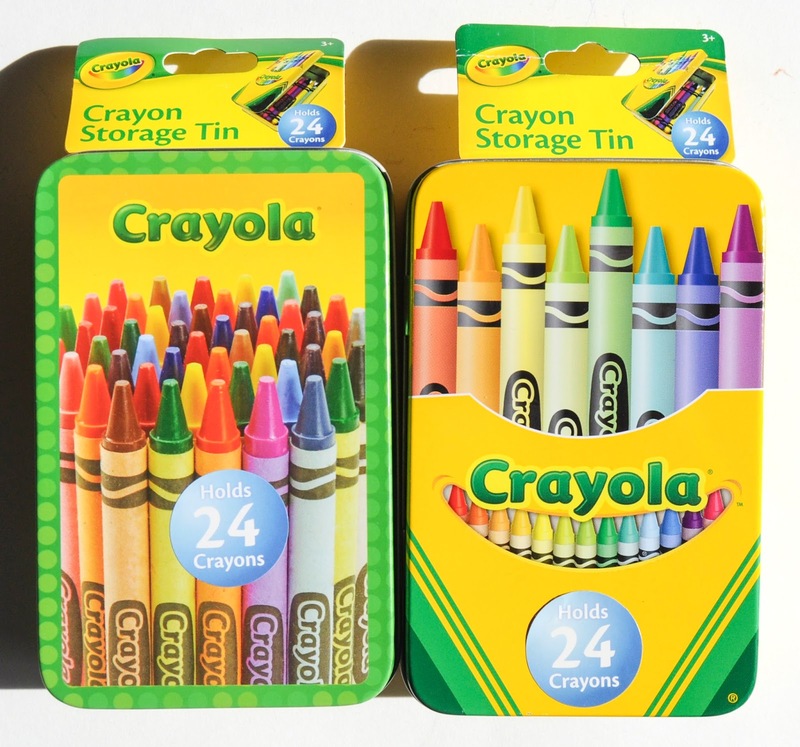 The metal tins provide a nice place to store crayons and old crayon boxes. 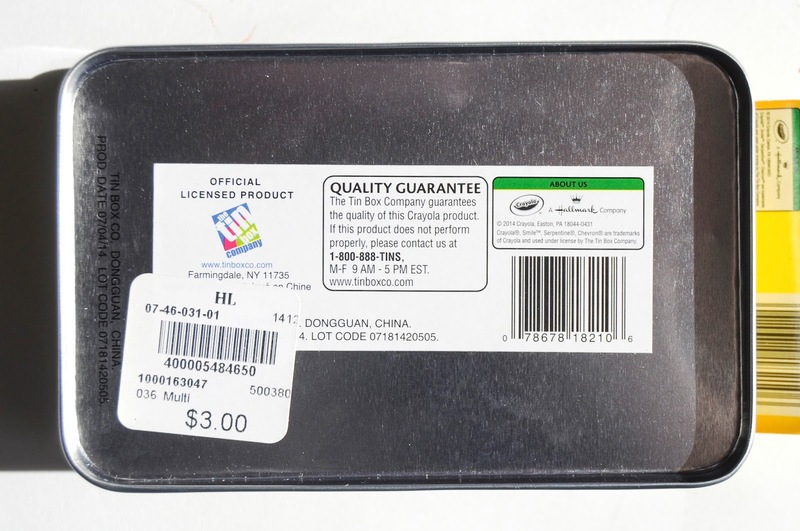 Boxes of 8, 16 and 24 count crayon boxes will fit inside. 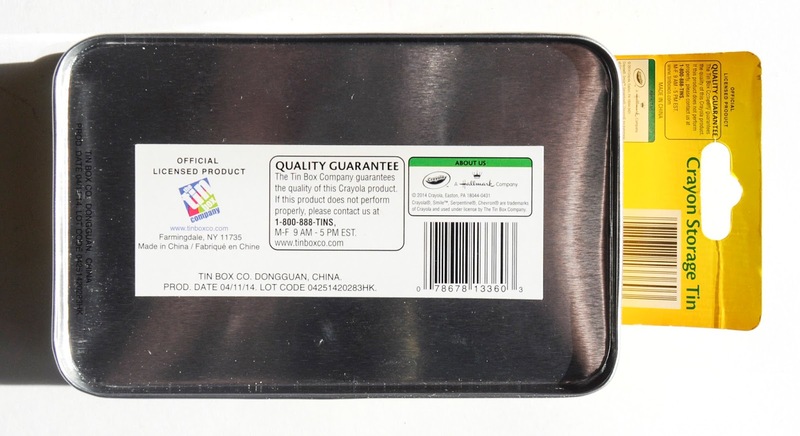 The Tin Company makes these metal tins along with a host of other Crayola tin boxes.